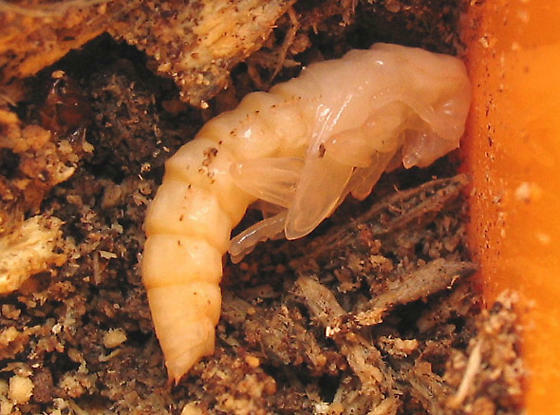 The large tenebrionid larvae are a mystery no longer. One pupated and emerged successfully. Another pupated, but a wireworm took a festive romp through its head. Burp!